Gorgeous Mediterranean style luxury custom home built in 2001. POOL, SPA, & RV GARAGE!! 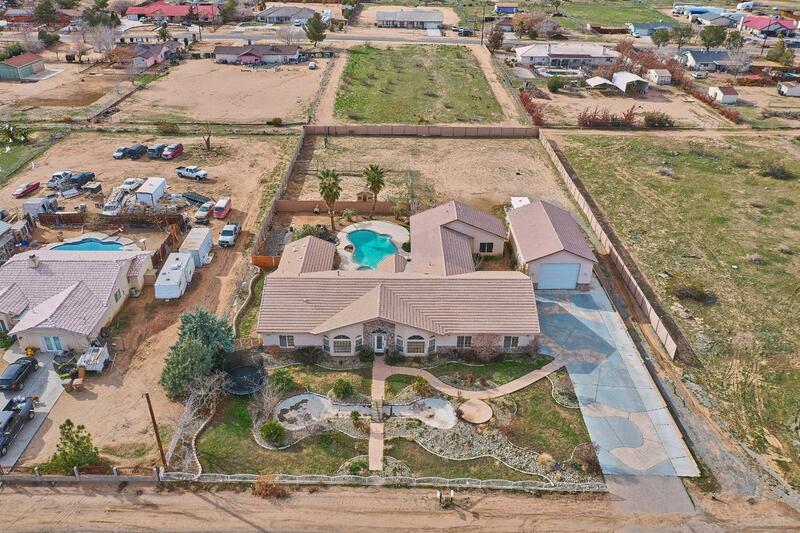 4 bedrooms with bonus room, 3 full baths, 4140 square feet of living spaces and a large 1.06 acre of land. Beautiful landscaping on the front. Custom entry door opens to dramatic GREAT-ROOM!! Sunken formal living room with fireplace and dining room have GREEK Style poles and arch windows. HUGE KITCHEN with plenty of granite counters, & center island. All stainless steel appliances include; SUBZERO refrigerator, cook-top with hood, trash compactor, wall oven and microwave. All solid wood cabinetry and walking pantry has glass pantry door. Over hanging bar counter. HUGE separate family room has wood flooring. Split floor plan!! Master bedroom is separated from other bedrooms. Gigantic master bedroom, master bath has jetted tub, welkin shower, his & her sinks and walkin closet. All bedrooms are larger in size with larger closet spaces. In house separate laundry room with sink, folding counters & many cabinets. Court yard around Pool/SPA. Private separate yard between the house and RV garage great for green house & gardening. ZONED for horses. Convenient located in between Main St and Bear Valley Rd on 7th Ave. Close to all conveniences. MUST SEE TO APPRECIATE!! Directions: From 15 Freeway Take Main St Exit Toward Hesperia. Go East To 7th Ave And Turn Left To Subject Property On The Left.